There’s no doubt about the fact that Meghan Markle is one of the most stylish women out there. While she no longer wears the glitz and glamour of Hollywood, she still rocks her royal wardrobe with ease and grace. Because of this, she’s become a fashion icon, and everyone seems to want a piece of her closet! In February 2019, Meghan made her way across the pond for a royal trip to Morocco, and it’s fair to say that, even in the heat, she kept her style as cool as ever. These are her best looks from her trip to Morocco. Now that she’s expecting a baby, Meghan Markle is definitely rocking the maternity look. 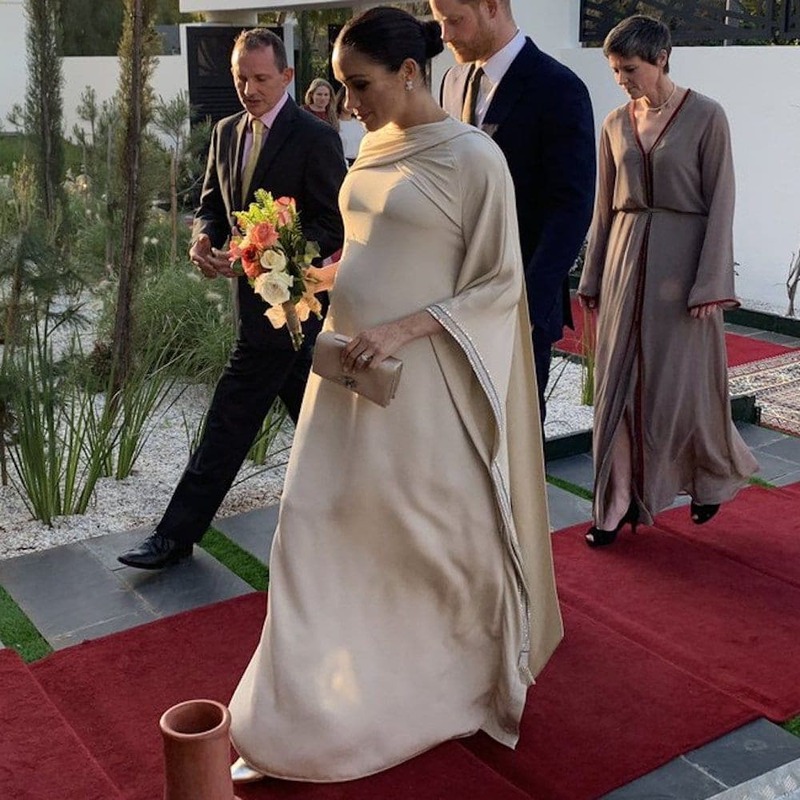 With extra room in the stomach for the royal-to-be, she has still been able to wear beautiful designer gowns that show off her bump and her beautiful face. While attending one royal function, Meghan wore a champagne Dior gown – and it was this dress that got everyone talking. After all, the protruding belly button definitely means the baby is on its way soon. As one of the most famous women in the world right now, Meghan Markle certainly has to keep up appearances. With the world media watching her every move, she constantly needs to be dressed up to the nines, and that’s exactly what she did one evening. She wore a beautiful red Valentino dress that came with a matching cape, and the whole ensemble was definitely fit for royalty. 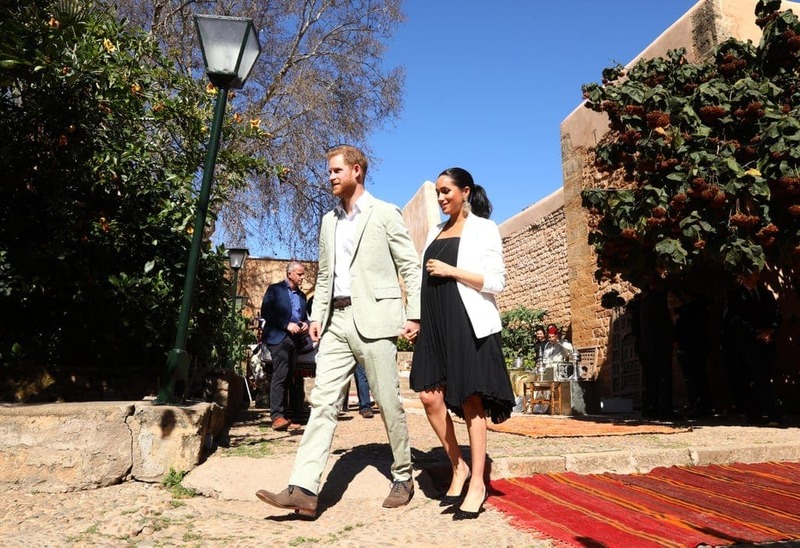 Morocco is a lot warmer than the UK, which meant that Meghan got to wear clothes that were much more free-flowing and suited to her environment. This was the case when she wore a beautiful printed House of Herrera Gown. This blue look offered frills, pattern, and a beautiful blue color that complimented her skin perfectly. She teamed the whole thing with a slicked-back hairstyle and a Dior clutch. Meghan is no stranger to adding color to her closet, but that’s not to say that she doesn’t like a simple black and white look. 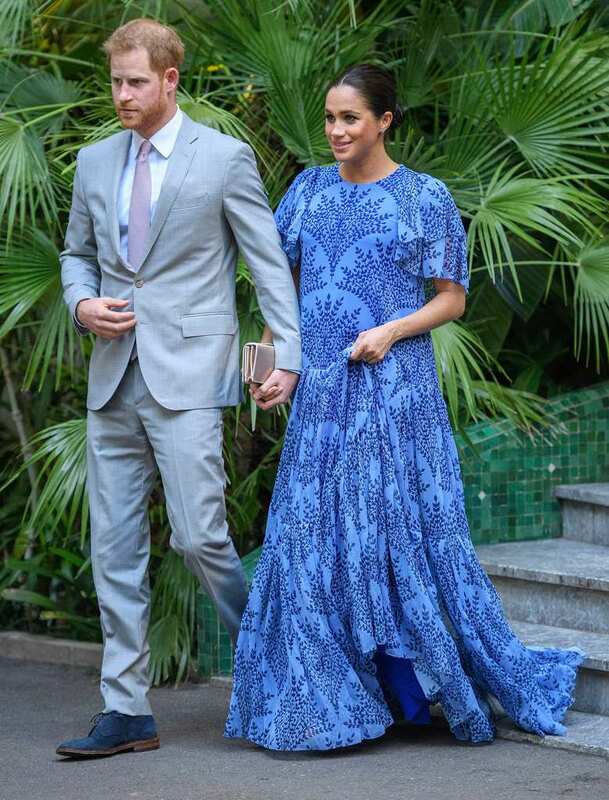 While visiting Morocco, Meghan wore a black Loyd/Ford dress that featured a vaulted hemline and pleated material. She topped off this look with a white jacket and some rather fancy earrings.